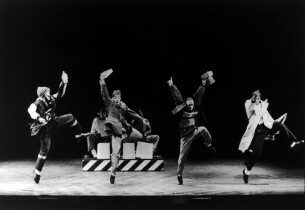 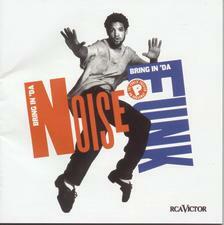 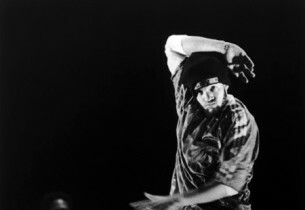 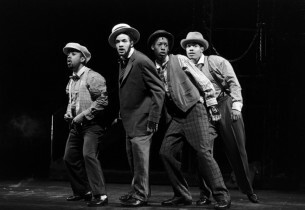 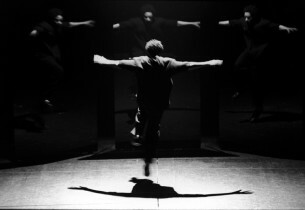 A show celebrating tap dancing, Bring In ’Da Noise, Bring In ’Da Funk starred dancer extraordinaire Savion Glover, in a program conceived and directed by George C. Wolfe, head of the New York Shakespeare Festival, and devised by Reg E. Gaines (book and lyrics), Daryl Waters, Zane Mark and Ann Duquesnay (music). 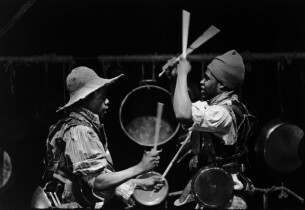 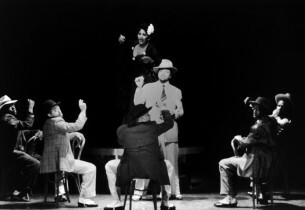 Following its debut at the Public Theater in 1995, it opened on Broadway on April 25, 1996 to great acclaim and enjoyed a run of 1,135 performances. 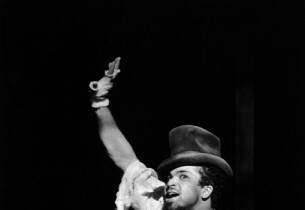 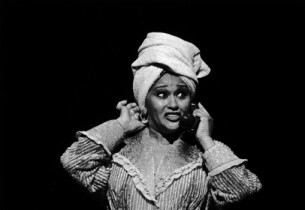 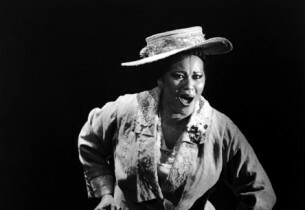 Among the many awards it gathered over Rent, its major competition, at the 50th Tony Awards® were Best Choreography, Best Direction of a Musical, and Best Featured Actress in a Musical (Ann Duquesnay).